See adoption information at above tab. SPONSORED by Julie Esser--Thank you! 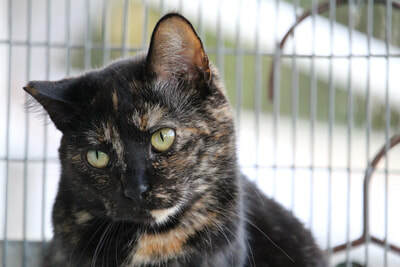 Lifeline for Pets presents for adoption, beautiful tortoiseshell female, Mia. 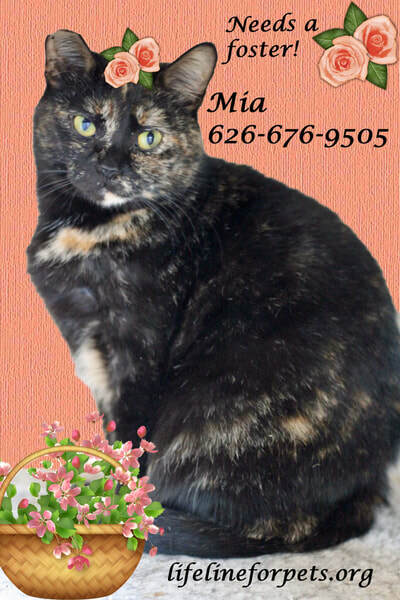 Mia is one of our very shy cats. 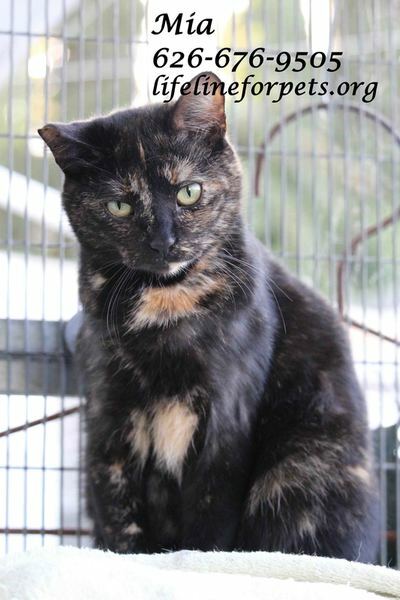 She was rescued from a feral colony, but was determined to have the potential to be adopted. You can see in the video that she will respond to sweet-talk, and she shows curiosity to humans. Mia gets along with the other cage-free cats. We have several shy & skittish kitties and we are looking for adopters who have the time and patience to adopt one, and make a difference in a precious life. Click this picture to see full frame.